Product launches are always challenging, especially when the primary users are physicians. Figuring out engaging ways to put the product into the hands of the actual users – one of the best ways to boost word-of-mouth endorsements – is even more difficult. 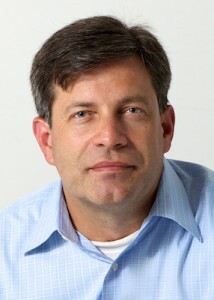 The marketers of ClinicalKey, Elsevier’s “clinical insight engine,” have embarked on a unique program designed to take the product directly to the customers, giving physicians a real hands-on opportunity to test drive it. Launched in April, ClinicalKey is an intelligent medical search engine with a huge database of content: textbooks, journals, videos, procedures, images. It provides the most current clinically relevant evidence-based answers, expert commentary, MEDLINE abstracts and select third-party journals. ClinicalKey is powered by Elsevier’s Smart Content, which is tagged with EMMeT (Elsevier Merged Medical Taxonomy). This enables the search engine to understand clinical terms and find the most relevant medical content, much of which would not be found by the keyword search methodology employed by competitive search engines. I joined Elsevier’s Corporate Relations team in July, but I really began working with the ClinicalKey team a year ago when I was still leading Elsevier’s team at its PR firm. In nearly six years of working with Elsevier, the ClinicalKey launch was one of the most extensive we’d assisted. We were surprised and excited when we heard that the ClinicalKey team had dreamed up a national tour. 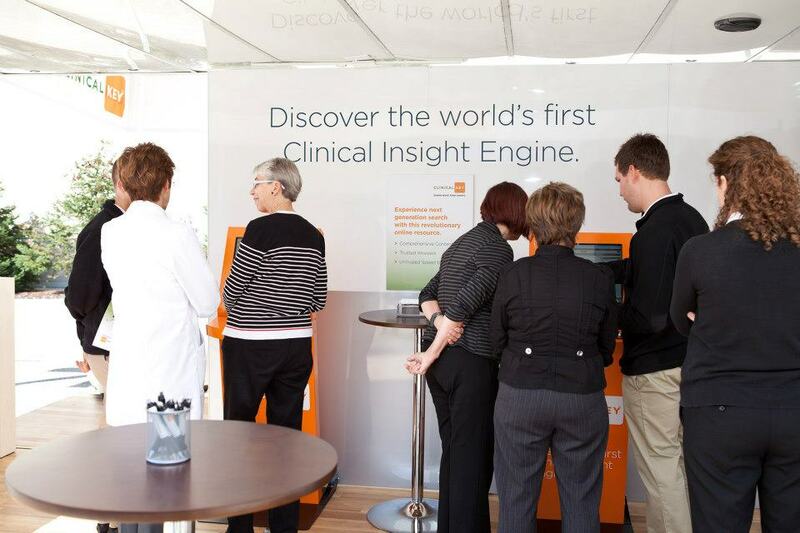 The multi-city ClinicalKey Experience Tour consists of day-long, in-person, outdoor events showcasing ClinicalKey through live demonstrations. The heart of the tour is a customized “pod” – a 20-foot walk-in trailer-ready suite that unfolds to about 470 square feet of open area. It includes its own lighting, fans, phone chargers, Wi-Fi and seating. 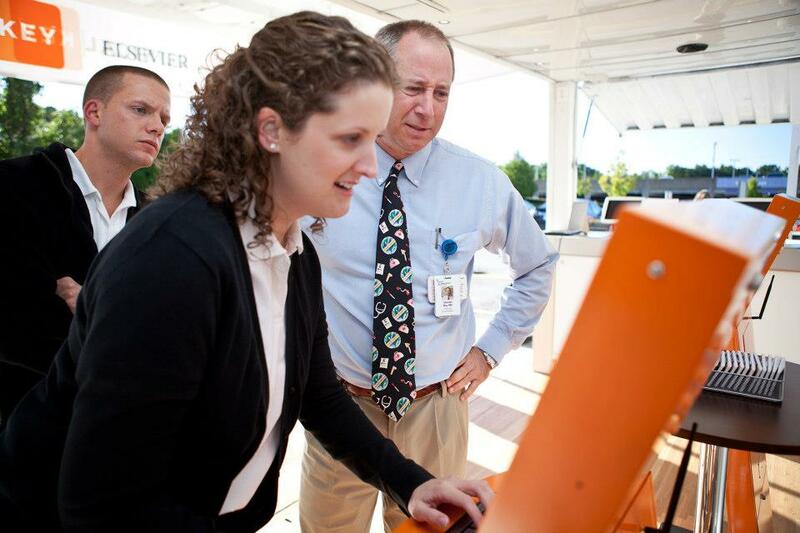 Most importantly, it has interactive demo stations for clinicians to test drive ClinicalKey. The tour will visit hospitals and academic medical centers across the country. The ClinicalKey team pre-arranges the tour stops with the institutions’ medical library and facilities staff, who then promote the event internally. Physicians and other clinicians are invited to stop by the pod at any time during the day for a short demo of ClinicalKey and some refreshments. The tour launched in St. Louis, Missouri, on September 18 and will travel to major cities in Wisconsin, Minnesota, Illinois, Kentucky, Indiana, Ohio, Massachusetts, New York, Pennsylvania, Maryland, Washington, DC, Virginia, South Carolina, Florida, Louisiana, Texas, and Colorado. The last day will be Dec. 12. The tour is exciting for several reasons. First, putting ClinicalKey at the fingertips of physicians around the country is an ideal situation; we’re always looking for user feedback, and so far, the reactions from physicians at the stops have been quite positive. 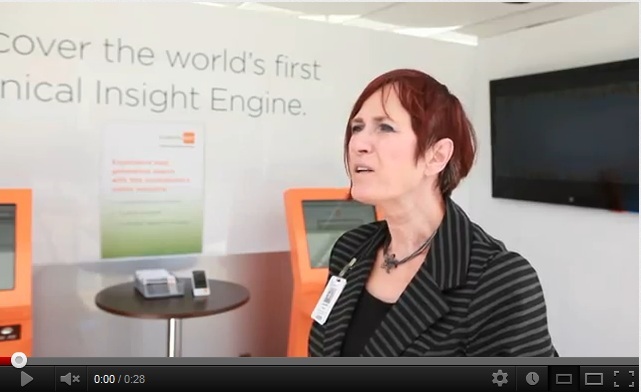 Check out what one medical librarian said on this video on ClinicalKey’s Facebook page. Second, the tour creates a natural PR opportunity at each stop. We are contacting local media and arranging for them to also get demos at each stop. We’re also directing media to the tour’s info site, Twitter feed and Facebook page. Third, this is really a great example of a new style of experiential marketing that Elsevier is using to stay ahead of the competition. These efforts, properly tracked and supported by social media and public relations tactics, will help raise awareness and boost sales efforts.